1 second and 1 penalty stop Bears from getting 1st win. 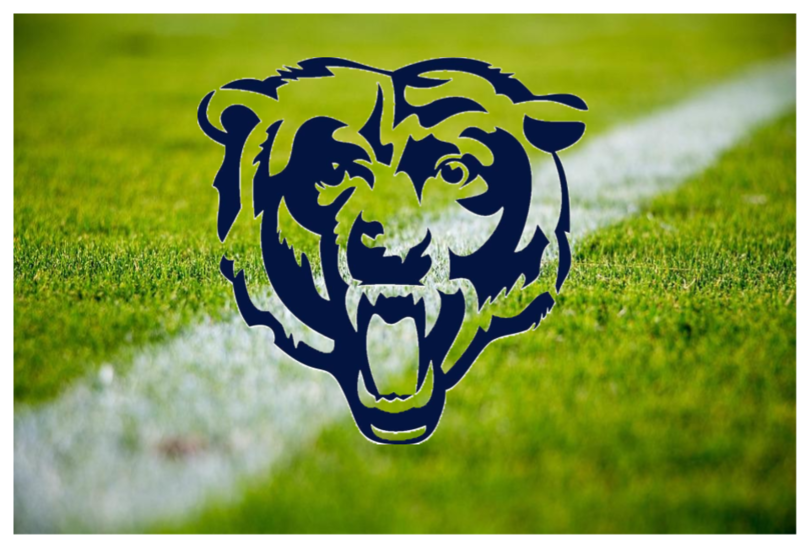 The Leetonia Bears lost a heartbreaking nail bitter on Friday to the Chalker Wildcats 17-14. The game started off hot for the Bears, with Roman Ferry scoring on the opening kick, rumbling for 85 yards after receiving the reverse pitch from Derrick Grossen. The extra point was missed by Duke and the rest of the first half would all Wildcats on the scoreboard. A good drive led by QB Trystan Mollohan would end in a 4 yard score by the Defensive Lineman Logan Rhodes, taking the lead 7-6 after a Johnston XP. The Wildcats would score on an 8 play series after forcing Leetonia QB Brock Simpson to throw an Interception deep in Wildcat territory. Mollohan would take the QB keeper 4 yards for the score. After the extra point the Wildcats took a 14-6 lead into half. Each team would have 2 possessions in the third quarter, neither able to score. This was a quarter littered with miscues and penalties on both sides. This set up a very exciting 4th quarter. In the fourth, the Bears made two 4th down stops, 1st stuffing a run and 2nd an injury to the Wildcats punter, Michael Vacca, making him unable to get the kick off in time. The Bears 1st series in the 4th ended in heartbreaking fashion. On a play starting on the Chalker 45, Simpson failed to pitch the ball to his target Ferry, having the ball go back to their own 40. Ferry would recover, break 3 tackles and race away from the Cats defense for the score but there was laundry on the field. A block in the back penalty would drop the Bears to a 2nd and 40 instead of scoring their 2nd touchdown of the evening, eventually forcing Leetonia to punt. After a Wildcats punt, the Bears would take over deep in their own territory with under 7 remaining. After failed run attempts, Brock Simpson would drop back to pass, tossing a 15 yard ball to freshman Marco Ferry who would do the rest of the dirty work. Ferry broke 4 tackles on his way to endzone on the 75 yard pass play, the most impressive was the jumping spin move at the 10 to make a Chalker defended lose grip of the tackle. Leetonia would complete the 2 point conversion and with under 4 to play, the game was knotted at 14. The Wildcats would finally get their chance on offense. After 3 first down runs by WR Joey Meyers, Chalker would be in a 3 and long situation. QB Trystan Mollohan would air it out to Meyers for a 20 yard gain to get into the Redzone. Leetonia defense stood firm on the goal line, stopping 3 rush attempts to set up a 21 yard field goal with under 45 seconds on the clock. K Ryan Johnston would kick it through the uprights for the 17-14 lead. With 31 seconds left, the Bears offense would take over on the Wildcats 45 after an impressive return by Roman Ferry. After a quick completion and a strong run, the Bears were in the 25 with 25 to play. After two plays and two false start penalties on the LT Sanders the Bears would be left with 1 second to attempt a Hail Mary. Simpson would role to the right and throw it deep to Grossen but Wildcat CB Joey Meyers would knock the ball down on the 2 yard line to end an exciting game in Southington. The Bears fall to 0-3 and will travel to Columbiana on Friday. The game can be heard right here, LIVE on YSNLive.com!